The insane fan following that both Kohli and his wife, a leading actress in Hindi films enjoy in India, it becomes difficult to enjoy their own little time away from public glare. Indian captain Virat Kohli tries to find joy in the simplest of things in life when he is not focussed on winning matches for the country. And nothing can beat a romantic getaway with wife Anushka by his side on a full moon night. The insane fan following that both Kohli and his wife, a leading actress in Hindi films enjoy in India, it becomes difficult to enjoy their own little time away from public glare. However, on tour in a scenic country like New Zealand, the Indian captain enjoys those long walks with his lady love and not being identified. “Look me and my wife like to do normal things. We just like to go out for walks,” Kohli told Sky Sports in an interview, which has also been uploaded by bcci.tv. “If we are in place like Napier, its beautiful. (One of the nights), We were at the Marine parade, enjoying full moon sitting on the bench and just talking. “It’s actually the most simplest thing that gives us joy purely because we are always in the public eye and we are always doing things in-front of people. To get away and not known by anyone is something that we both like,” the Indian captain said. 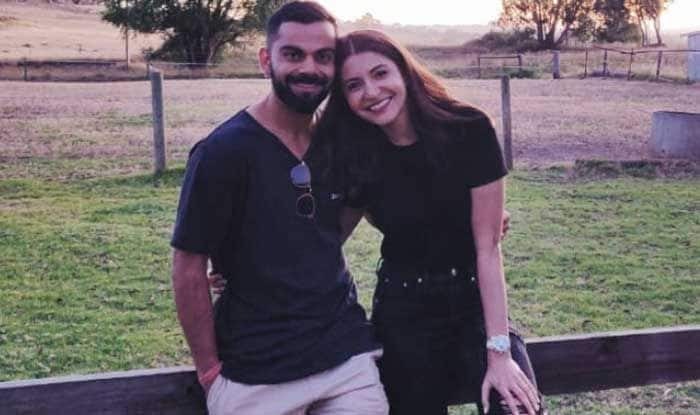 Recently Kohli and Anushka met Roger Federer at the Australian Open and what made his day was the fact that the Swiss legend remembered meeting the Indian skipper some years back. “Amazing (feeling). I have met him a couple of times before, the fact that he remembered me was like ‘waoh’,” the fan boy in Kohli was there to be seen. “He (Federer) told me that he met me in Sydney couple of years back during an exhibition match and I was like “waoh he remembers me”. I can’t explain that feeling. I have seen him play since I was a child and he is a great man and a great human being,” Kohli said. “He kept asking me questions and I could talk to him about mindset. It was a beautiful time spent,” Kohli fondly recollected. With 64 international hundreds, Kohli is expected to break all international records but he admits that he never thought 10 years back that he will come this far. “When I started, if someone had told me that 10 years down the line, I would be here in my career, I would have never believed them. I play the game because of the joy that I have and purely for the love of the game and the passion that I have for playing for my country,” he said. “If I get attached to stats that means my graph is going down and there is something wrong in my head. Personally, I can’t play in that sort of mindset. I can’t stand on the field thinking that I have to do something for myself.